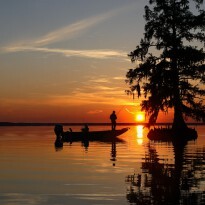 Books, Music, Sports, Gaming and Fishing!! What more is there? I really enjoyed this book, it's been a while since I've read a book that I've found worth reading further into the series. One thing I like is that the protag is just an average guy, no super powers, just smart with an uncanny ability to think on his feet. Another thing I liked was the romantic story line. Instead of having guy meet girl and the relationship forms they had already had a relationship, and now are broken up because she found out what he did and got scared away. During this book, instead of building a new relationship, they are rekindling their old one. Another thing I thought was kind of nice to see was the devotion he shows toward his girlfriend and her 8 year old daughter. In a lot of other fantasy series the romantic interests change, and while in this book he does see another woman, there is no question that if his girlfriend would take him back he would be there in a heartbeat. I also like how the relationship with the daughter was done. If something were to happen to the little girl he, expressed many times, he would move heaven and earth to help her. 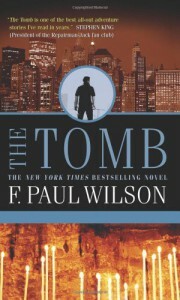 My only complaint, I don't understand why they titled it "The Tomb". There was nothing that I can remember that had to do with a tomb. I read somewhere that the author really didn't want this title, but because they were trying to stay similar to "The Keep" which is the series that this one was spun from.